You’ve heard about the Apple iWatch, haven’t you? Well, of course, but in the case that you did not, it is a rumoured device thought to be released by Apple soon which may be quite similar to the other wearable devices available on the market today and created by providers such as Samsung, Nike and others. So far, no physical proof has been provided except for a couple of concept pictures made by some talented artists. However, there may be something to make everyone believe that Apple is in fact working on a wearable device- the iWatch, or better, the Apple iTime. Recent apple iTime patent showing various sensors and a LCD display on a wristband type device. Apple was recently offered a patent for a device which is named iTime. 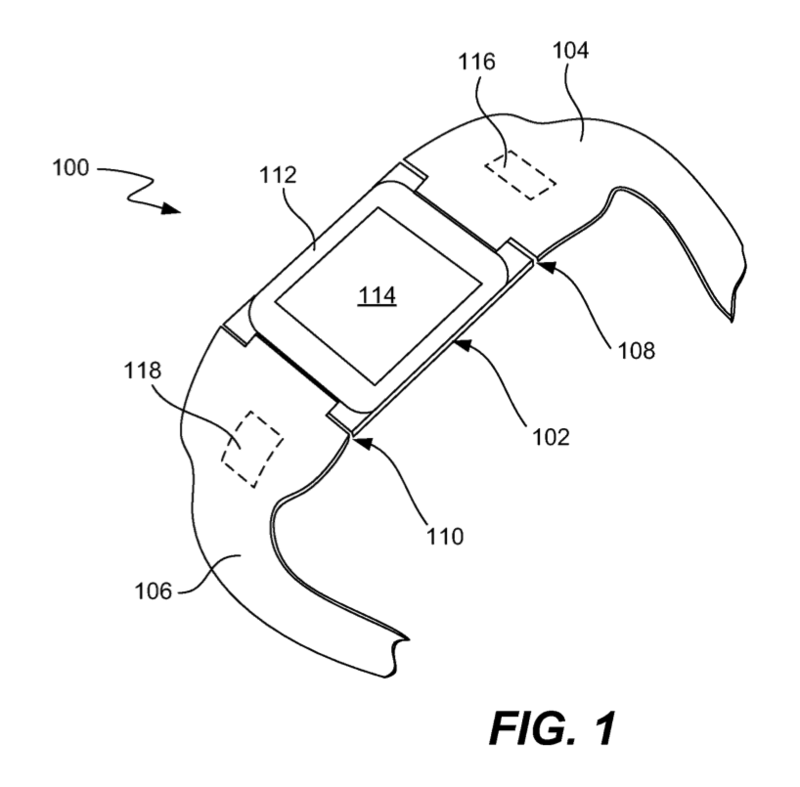 A quick look at the patent pictures offered will show that it is in the form of a wristband and that it has a couple of sensors while reports of it being able to connect to an Apple device, display calls, notifications and text messages have also been made. Wearable devices can be considered the future, but since the first time that they appeared on the market, no substantial upgrade has been released. Will Apple’s iTime become king over the other products available on the market right now or will the product fall somewhere in the ‘Store’ tab of the Apple websites with a minimal number of sales?